My name is Spencer James and I’m a third year medical student here at Geisel. I was born in Juneau, Alaska, and grew up in the small town of Port Angeles in the northwest corner of Washington. My love for photography was first sparked by my experiences traveling as an undergraduate at the University of Washington. At that time, photography for me was a means to document and share my experiences traveling and adventuring with my friends and family back home. While this is still at the core of many of my photos, I have grown to appreciate how photography also allows me to become more mindful and appreciative of my surroundings. It may sound paradoxical, but I find that looking through the aperture of a camera helps me tune into subtle patterns, colors, changes in light, shadows, and people and their expressions. More recently, I have started to explore the role of photography in humanitarian and global health work, which is one of my professional aspirations as a medical student. Prior to starting medical school, I also completed a masters thesis on statistical techniques applied to medical diagnoses. As a photographer, medical student, and researcher, I have frequently considered how these different worlds can each play a meaningful role in advancing human health. 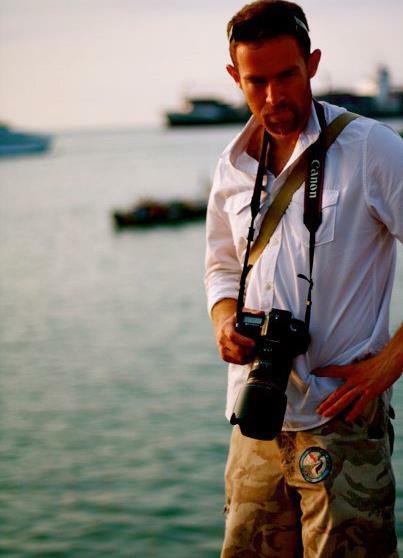 Much of my inspiration in photography comes from those journalists and photographers who focus their work on humanitarian and environmental issues. It has been an incredible experience at Dartmouth to meet Steve McCurry and James Nachtwey and see their work firsthand since they have photographed some of the most pivotal and pressing wars, disasters, social, and humanitarian issues of the 20th-21st centuries. Reading about the work of W Eugene Smith on Minamata disease has similarly inspired me by showing how photography can play a powerful role in bringing awareness and action to medical and humanitarian crises. While I will continue to love photography just for the sake of photography, I hope that one day my passion for taking photos can also help to positively impact the people and populations that I will be serving as a future doctor. 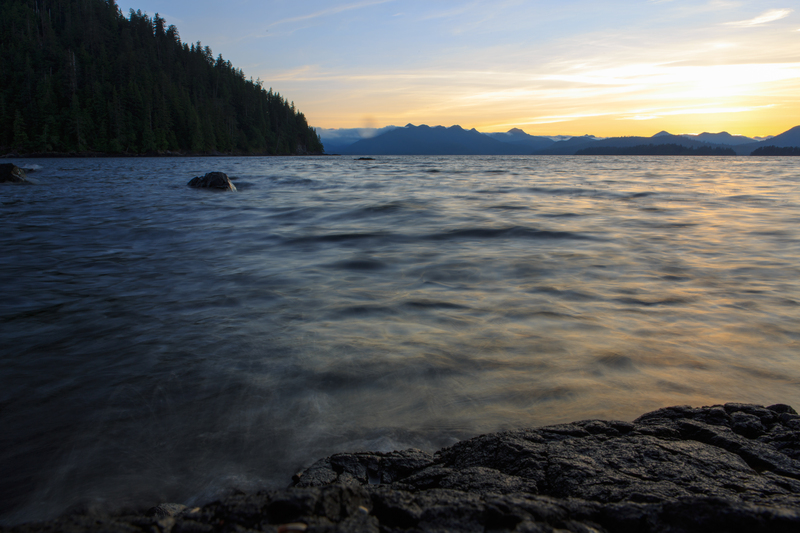 My photography exhibit here is focused on exploring the Pacific Northwest. Similar to the Upper Valley, it is a beautiful area of the world that inspires adventure and rewards exploration. Often when I say I am from Seattle, people ask me about Starbucks, the rainy weather, Kurt Cobain, or more recently Twilight. My Pacific Northwest, though, has always been more defined by the rugged, inhospitable beauty of the towering coastal rainforests, glaciated peaks, and incredible wildlife. Growing up on Washington’s Olympic Peninsula, I felt very lucky to have rivers, mountains, and oceans in my backyard, and these areas ultimately became my playground for exploration, adventure, and photography. I love sharing these areas with others, so for this exhibit, I chose a collection of photos from the Pacific Northwest, British Columbia, and Alaska that I made over the past few years. The exhibit includes places such as Mount Olympus and Mount Rainier, dolphins in the Pacific Ocean, the Pika Glacier in the Alaska Range, and century-old mortuary poles in a deserted Haida village in Haida Gwaii (previously known as the Queen Charlotte Islands). As a nod to the environmental challenges that also define much of Pacific Northwest history, I also include photographs of a freighter loaded with recently-logged timber in a winter snowstorm and a tugboat dragging freight through the Inside Passage. Please feel free to contact me if you have any questions about any of the photos or the Pacific Northwest, and I hope that you will enjoy what I have shared here. As previously announced, MD Consult has been replaced by Clinical Key. Clinical Key has all the books and journals formerly in MD Consult, and much more, including over 1,000 books, over 20,000 videos, 2.5 million medical images, 600 journals, and a point-of-care resource called First Consult. Clinical Key has released a new interface to make searching and browsing easier. The search box on the opening page allows you to designate the type of resource to search: all, books, journals, First Consult, patient education. The table of contents of individual books are presented more clearly with links to the chapters more apparent. 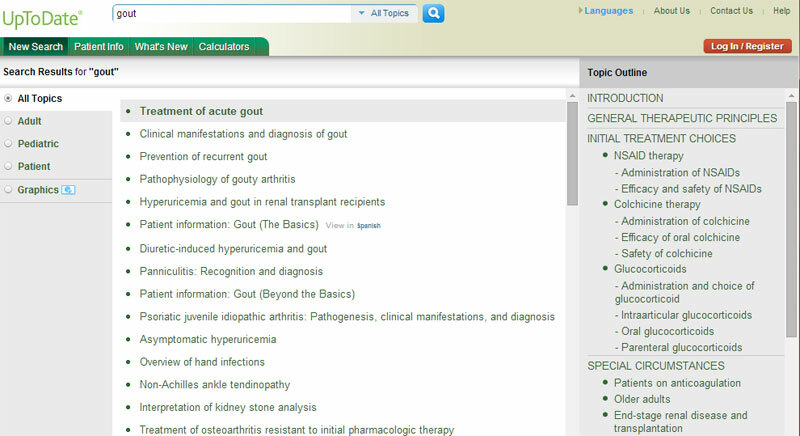 There are new “topic pages” with quick information on 1,400+ diseases. Viewing the pdf of a book chapter still requires a personal account, one that you can create for yourself for free by clicking on “login” at the top righ of any screen. Note that if you already have a login for Elsevier’s ScienceDirect journals you will already be registered and can use that same username and password. Subscription to Clinical Key was made possible by the Geisel School of Medicine, the Department of Medicine, the Department of Surgery, the Department of Anesthesiology, the Patient Safety Training Center, and contributions from the Departments of Urology and Pediatrics. Questions? Contact Biomedical.Libraries.Reference@dartmouth.edu, stop by, or call 603-650-7660. Clinical Key has all the books and journals formerly in MD Consult, and much more, including over 1,000 books, over 20,000 videos, 2.5 million medical images, 600 journals, and a point-of-care resource called First Consult. Subscription to this enhanced database was made possible by the Geisel School of Medicine and contributions from several clinical departments. Cancer. Hearing the word alone can produce powerful emotional responses. The disease starts infinitesimally small, but knowledge of its presence is capable of inspiring hope, despair, fear, triumph… a power which has always fascinated me. This series is a commentary on how cancer arises from the modest origins of the genetics/proteins of only one cell, and how this cell loses its identity to become an enemy to the host. Cancer is a disease in which the cells of the body turn against their host. Every normal cell in the body has functions it performs for the good of the whole system, as well as rules it follows to keep it functioning healthily, which are written into the DNA code. Each cell faithfully follows this code its whole life, like a code of conduct to which it has sworn. Every attempt is made to protect this code, but it is at always at risk of being damaged, altered, or even faulty from the start. If this occurs, it begins at an unfathomably small scale: in a single, tiny cell, on average about one third the width of a human hair. This faithful cell continues to do what the broken code tells it to do and, in the process, becomes something else, committing acts of aggression and treason. It is greedy, intrusive, and forgets what it means to share. A newborn conquerer, its focus shifts to multiplication of its forces and invasion. These cells can’t be our own. Following its Jekyll to Hyde transformation, an effort is made at containment. Natural barriers exist in the body to compartmentalize systems, with the hope that they will not be breached. Invasion beyond the contained space is known as “Metastasis”, and beyond the walls, there are roads to which the entire body may be accessed. This is territory that is our own, and these are unwelcome visitors. We don’t recognize these hands, forcing this Petri-dish-cell on us as a new responsibility. In these images, the shape of the subject’s hands is meant to represent an organ, held over the site of cancer within the body. 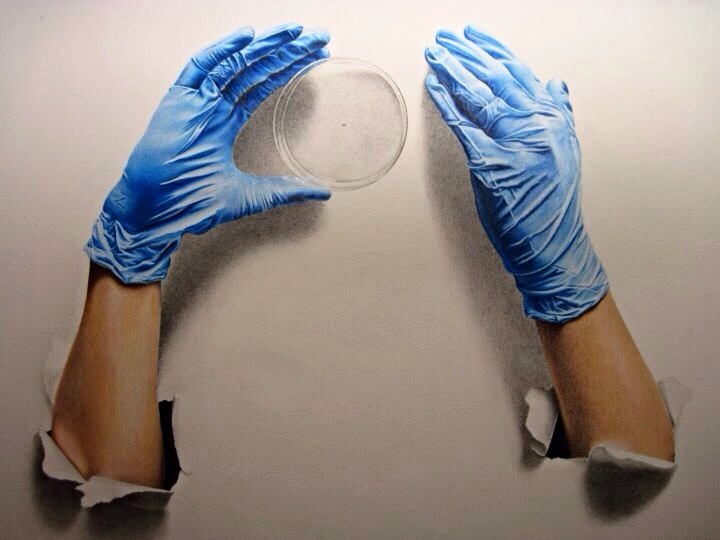 The human subject is presumed to be hidden behind the sterile background. The only indication of identity given is in the gesture and likeness of the hands. The cell represented on the culture dish in each drawing is recreated from research photographs taken in a cancer research lab at Vanderbilt University, with each color used representing a different cell component related to a cancer that our team at the time was investigating. As has almost every person who sees these drawings, I have lost a friend to cancer. It happened a long time ago, in my childhood, but these drawings were an opportunity to revisit some of the feelings one may go through when their lives are affected by something so powerful. I have included his name, LANCE, on one of the plates, as I have also included important cancer researchers names on the others. In honor of the fact that everyone has been touched in some way by this disease, an arm in each drawing has a single “mole”, a physical reminder that nearly everyone carries on their body of the potential of chaos. With every person who is forced to endure this chaos, our knowledge grows, our treatments improve, and support networks evolve. People have an incredible ability to adapt to and endure things they should never have to experience. I am hopeful the word “cancer” won’t always hold so much power. I am a fourth year medical student at the Geisel School of Medicine at Dartmouth. I grew up in the Lakes region of New Hampshire, and spent the more recent part of my life in the small town of Eliot, Maine. In 2010, I graduated from Vanderbilt University with a combined degree in Studio Art and Cell and Molecular Biology, and have often found myself combining these two interests. I’ve always been fascinated by realism and trompe l’oeil styles, with my preferred media being colored pencil and graphite. My art career has so far included a solo exhibition at Berwick Academy in Maine, and two combined exhibitions, one at AVA Art Gallery in Lebanon, NH, and another at Vanderbilt University in Nashville, TN. I have also done a number of private commission works. A few of my greatest influences include M.C. Escher, since I have a similarly mathematical approach to the technical aspects of drawing, and a fascination with surprising the viewer with new perspectives, Anthony Waichulis, for his process and mastery of realism, and Norman Rockwell, for his ability to recreate people’s expressions and familiar moments in a way that has always made me smile. Of course, I cannot ignore the fact that medical school has given me a strong appreciation for Dr. Frank Netter as well. I am interested in pursuing a career in pediatrics or combined medicine and pediatrics, and I am looking forward to continuing to draw. Come to join in this session if you need to learn SPSS for your research, term project and theses or refresh your knowledge and skills about SPSS, for example, how to calculate descriptive statistics, how to conduct t-tests, how to run linear regression and ANOVA,etc. During this session, you will also have a chance to learn from an experienced librarian how to find data sets you need for your research, term projects, and theses. Registration: Please sign up here ASAP! Ever wondered if you have the rights to post your own published work on a web site, share it with others or use it in your course? 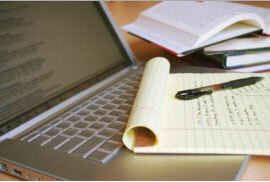 Learn about tools and best practices that help you in working with publishers. We’ll look at typical publishing contracts, discuss the points to look for in these contracts if you want to retain rights to your work, and consider the ways open and public access policies give you options to reuse your own work. Bring your examples and questions to this workshop, and find the answers! Led by Ellen Finnie Duranceau of MIT’s Office of Scholarly Publishing, Copyright & Licensing, and Barbara DeFelice, Dartmouth College Library’s Director of Scholarly Communication and Digital Resources Programs. Dartmouth faculty, students and staff have access to Scopus until May 31st as a free trial. Scopus, like Web of Science, indexes peer-reviewed literature in a broad range of fields, with deep coverage of science, technology, and medicine. Use Scopus in your research and citation analysis work during May, and let us know what you think of this resource! WE NEED YOUR FEEDBACK! Please use this link to send us your feedback. Questions or comments? Peggy Sleeth, Associate Director/Information Resources. UpToDate® introduces enhanced search results and an improved user interface Find answers faster than ever with links to the sections and graphics most likely to answer your clinical questions. UpToDate synthesizes data from over 21 million monthly topic views to analyze search terms and information viewed by clinicians. This analysis enables UpToDate to quickly and accurately display relevant sections and graphics for a given search. Navigating UpToDate is even more intuitive with a redesigned user interface that puts key features like Drug Interactions and Practice Changing UpDates on every page. Watch a brief video demonstrating the changes or view a full description. Published on April 17, 2014 April 18, 2014 Author Donald FitzpatrickLeave a comment on DynaMed Mobile! Did you know that DynaMed is available as a mobile application, compatible with devices such as the Android, BlackBerry, iPhone, iPad and iPod touch, just to name a few? Visit here to learn more. DynaMed™ is a clinical reference tool created by physicians for physicians and other health care professionals for use at the point-of-care. With clinically-organized summaries for more than 3,200 topics, DynaMed provides the latest content and resources with validity, relevance and convenience, making DynaMed an indispensable resource for answering most clinical questions during practice. Updated daily, DynaMed editors monitor the content of over 500 medical journals on a daily basis. Each article is evaluated for clinical relevance and scientific validity. The new evidence is then integrated with existing content, and overall conclusions are changed as appropriate, representing a synthesis of the best available evidence. Through this process of Systematic Literature Surveillance, the best available evidence determines the content of DynaMed. A recent article in BMJ evaluated five point-of-care resources (including UpToDate) to see how quickly the resources updated new evidence. DynaMed was judged the best by far at updating critical topic reviews based on new evidence. According to another study of disease reference tools by KLAS, survey respondents indicated that DynaMed excelled in the credibility of the information it provided and in the relevance of its information. Links to DynaMed can be found on the Biomedical Libraries Web under Resources and in the Dartmouth Library Catalog. Published on April 17, 2014 April 18, 2014 Author Donald FitzpatrickCategories Biomedical LibrariesTags eResourcesLeave a comment on DynaMed Mobile!